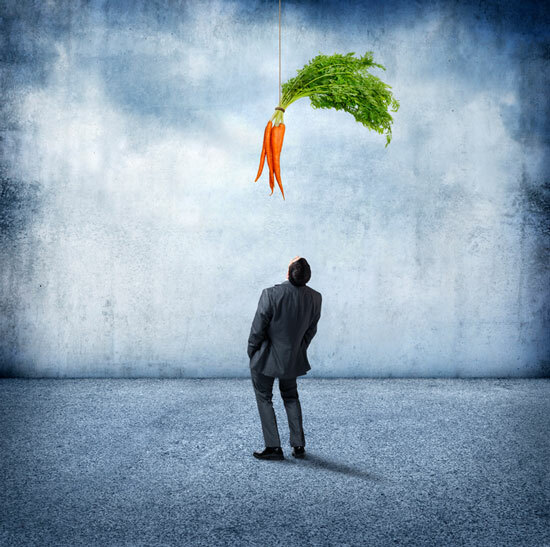 Which employee benefits are actually worth getting excited about? According to a new report, there are almost 350 perks companies are using to lure candidates. This is how you can tell which ones really matter. Back in the day, companies used to offer basic benefits packages—you know, medical, dental, prescription programs and 401(k) matching. Now? There’s a whole lot more on the table, ranging from the practical (paid sick leave) to the practically unbelievable (in-house massage services). According to the 20th anniversary edition of SHRM’s yearly Employee Benefits research report, there are close to 350 offerings being touted by various companies. Paid foster child leave? You bet. Coverage for health care services provided by video? Yep, that too. Get this: 20 years ago, the organization surveyed HR professionals on approximately 60 perks; 10 years ago, it surveyed them on 219; and now the number increased again to 350. As companies introduce new kinds of benefits to attract talent, you need a strategy to evaluate which of their offerings work best for you. Remember: All that glitters is not gold. While some benefits are initially attractive, you need to ask yourself which ones are worth getting excited about because they’re the ones you’ll really use. Before you start interviewing, create a list of your top five priorities and rank them in order of importance. For most people, employer-sponsored health insurance is a biggie, since it’s typically cheaper than what you’d get through Obamacare, and can be very valuable to help you cover the catastrophic costs if you get sick. Generous retirement benefits are also valuable—the average 401(k) company match is 3.2%, according to the most recent annual survey conducted by the Plan Sponsor Council of America, so keep that in mind when looking around—and a traditional pension is a rare delight. Someday you’ll need and want to retire, and an employer helping you save can be very valuable in making that a reality. Beyond the standard health benefits, perhaps you want the option to telecommute. Is additional paid time off preferable to a more generous pension? Does free lunch every day sound pretty appealing? This way, when you start interviewing and a hiring manager attempts to dazzle you with their company’s bells and whistles, you can clearly determine which benefits align with your needs versus the ones that sound great but you will probably never utilize. For example, one of the most recent benefits to make the SHRM list was egg freezing for non-medical reasons. As generous a benefit as it seems, egg freezing might not matter to you at all. What if you don’t plan on having any (or any more) children? However, something like a vacation stipend or the option to telecommute three days a week? Well, those may be more relevant and could factor in to your decision as to whether or not accept their job offer. Also, if applicable, think about why you’re leaving your current job in the first place. If you’re primarily looking for career growth and a significant salary increase, how beneficial are some of these glossy benefits anyway? On a practical level, you might want to see if the company offers an employee assistance program (EAP), as it can be a great resource. Millions of workers struggle with challenges they don’t want to talk about at work: mental illness, substance abuse, stress. Recognizing this, many companies have EAPs that are designed to help organizations address productivity issues by assisting employees with identifying and resolving personal concerns. EAPs allow individual workers and their family members to confidentially access professional counselors for a variety of issues related to mental health (such as depression, schizophrenia or bipolar disorder), substance abuse, domestic abuse, workplace problems, and challenges that occur in their daily lives or the lives of family members. Again, rely on your list of priorities and factor in your current stage of life, as well as where you will be within the next two to five years. If you’re planning a family, perhaps a subsidized daycare program will be up your alley, but if your kids are already in middle school, it’s a moot point. In reality, I wonder if just how much the perk is leveraged. How many days does the average employee at the company actually take off annually? Is the number really that much greater than companies with a typical policy of 20 days per year? The best way to make an informed decision is to have, well, information! During your job interview, ask which benefits the company’s employees take advantage of the most—and the least. Request a comprehensive company benefits pamphlet or printout, as well as information about what your monthly out-of-pocket medical costs would be, as those are the benefits you’ll most likely be taking advantage of. Companies should provide this information to you before you accept the job offer. When I was a recruiter, my organizations never provided this info to candidates unless someone specifically asked for it—so ask! Make this part of your job search endeavors. Look at the benefits on a company’s website, and always ask to receive additional information. And, as I said earlier, cash still counts—both to you and to employers. To keep their fixed costs (like base compensation) from rising, companies are spending more money on benefits and bonuses rather than salaries. When you get a job offer, don’t neglect negotiating a sign-on bonus (simply ask for one) in addition to your salary. According to the SHRM report, the past five years saw a significant uptick in the variety of bonuses being offered to employees, such as spot bonuses, sign-on bonuses and employee referral bonuses. After all, it’s easier to withdraw a perk than reduce an employee’s pay. While incredible benefits are enticing, they do not outweigh your pay. Fact is, your next pay increase will be determined by your base compensation. One-time tuition reimbursement for an online MBA won’t add up to a down payment for a house.